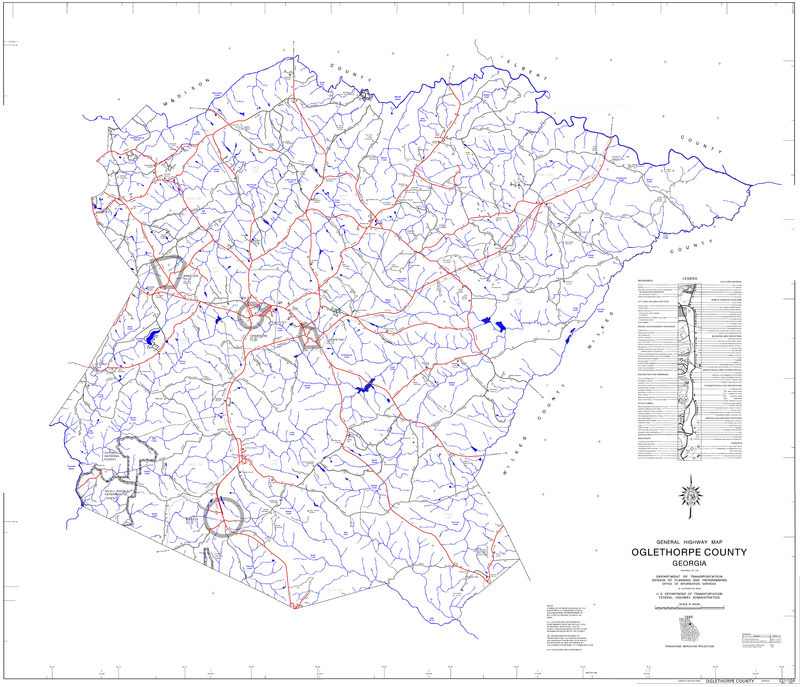 Oglethorpe County, in northeast Georgia, is the state’s seventeenth county and comprises 441 square miles. Creek and Cherokee Indians lived there when the first white people arrived, but they lost their land through treaties signed in 1773. Fur trappers and traders traversed the area before the first non-Indians established permanent settlements. A few trappers established a temporary community known as Kennedy’s Gate, but it was no longer extant by the time of the American Revolution (1775-83). The first permanent white settlers, led by Revolutionary War veteran Colonel George Mathews to Georgia after the war, were a group of wealthy tobacco planters from Virginia. At first the area was all part of Wilkes County, but Oglethorpe County, named for Georgia’s founder James Oglethorpe, was carved from Wilkes in 1793 to accommodate population growth. Over the years Oglethorpe County has gained land from surrounding counties, sometimes in exchange for parts of itself. Massachusetts. It was incorporated on November 24, 1806. Oglethorpe County’s other incorporated communities are Arnoldsville, Crawford, and Maxeys. Arnoldsville, settled in the early 1800s by Virginians who established tobacco, cotton, and silkworm plantations, was not incorporated until 1969. In earlier days the site’s proximity to a Cherokee trail linking Virginia to the Mississippi River made it a popular point for meetings and trading. Colonial governors established a settlement there in the 1770s to regulate Indian trade. The settlement was called Cherokee Corner until 1894, when a local store owner, Edwin Shaw, became postmaster and renamed the town Edwin, after himself. Shaw’s store (and postal service rights) were later bought by N. D. Arnold, a wealthy landowner, and the town adopted his name in 1896. Arnold divided 5,000 acres of his land into small farms and sold them “on liberal terms” to encourage settlement of the area. Crawford began as a train stop known as Lexington Depot. Farmers and merchants brought cotton by the wagonload to ship out by train and camped at the depot overnight before going home with goods delivered by the same train. A public well was dug for their convenience, and people later began building permanent dwellings there. Lexington Depot was incorporated in 1876 as Crawford in recognition of U.S. senator William Harris Crawford, who had held the original land grant on which the new settlement emerged. The depot was added to the National Register of Historic Places in 1977.
initially encouraged the railroad to come through the area by giving land for the right of way. However, after the track was completed in 1839, Maxey became concerned about the possible dangers to his family and moved away. The town did not incorporate until 1907. One of Georgia’s first commercial fertilizer plants was built there in 1874 by William B. Brightwell. 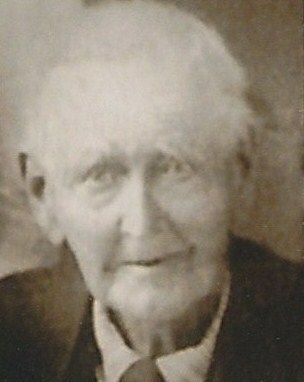 John W. Moody started the state’s first commercial scuppernong vineyard, which made thousands of gallons of wine each year from sixty varieties of the fruit, near Maxeys. Aside from the incorporated towns, several communities in Oglethorpe County boast interesting histories of their own. Among them is Philomath, in the southernmost part of the county. Settled in the 1830s by Virginians and North Carolinians, the town was originally named Woodstock. It received its current name at the suggestion of Alexander Stephens, who often visited the town’s John W. Reed Academy, a boarding school for boys. Philomath’s historic district was added to the National Register of Historic Places in 1979. Smithonia (also known as Smithsonia), in the northwestern part of the county, is another historic Oglethorpe County community. Originally called Pleasant Hill, the community began as the thirty-square-mile plantation of James Monroe Smith, an entrepreneur, farmer, gubernatorial candidate, and railroad developer. When the plantation became economically self-sufficient, it acquired a post office and was renamed Smithonia. It was added to the National Register of Historic Places in 1984. Another community with historic associations is Stephens, built around the Antioch Baptist Church and called Antioch until its name was changed to honor Alexander Stephens. The development of Stephens was spurred by the Georgia Railroad’s building of a line through the area in 1839, but in 1925, after a fire destroyed most of its business section and the boll weevil destroyed its cotton crop, the once thriving community lost population. which has remained a mainstay of its economy. The county was first settled by wealthy planters who set up tobacco plantations; residents later moved into cotton production with the invention of the cotton gin and the construction of railroads, which greatly assisted marketing efforts. After the plantation system lost its profitability in the aftermath of boll weevils, fire, war, and emancipation, the county’s agriculture shifted to small farms, often operated on the sharecropping system. Grain, poultry, beef, and dairy cattle were among the county’s major farm products. Farm income was augmented by employment in the lumber, granite, and textile industries. 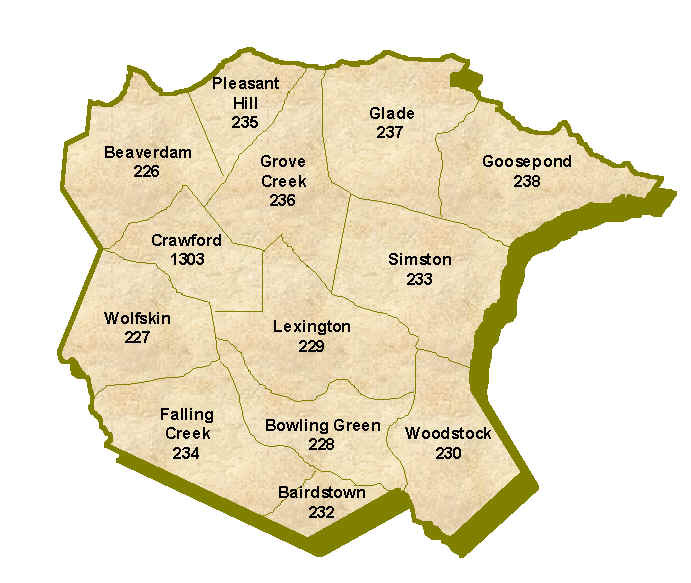 Points of interest include Bartram Buffalo Lick and Watson Mill Bridge. Bartram Buffalo Lick, near Philomath, was described by naturalist William Bartram in the 1770s and named for its vast pits of kaolin, which were licked first by buffalo and later by cattle, deer, and horses to calm their stomachs. Indians used this location as a reference point and meeting place. Watson Mill Bridge, on the border of Oglethorpe and Madison counties, is the longest original covered bridge in Georgia. Built by W. W. King in 1885, the bridge was restored in 1973.
Notable residents of Oglethorpe County include author Marion Montgomery and politicians Middleton “Pope” Barrow, William H. Crawford, George R. Gilmer, John Henry Lumpkin, Wilson Lumpkin, and George Mathews. According to the 2000 U.S. census, the county population was 12,635 (78.3 percent white, 19.8 percent black, and 1.4 percent Hispanic). The population increased 29.4 percent from 1990 to 2000.